One of the best things about a perfect Sunday morning is a great breakfast. It is a great way to enjoy any weekend. 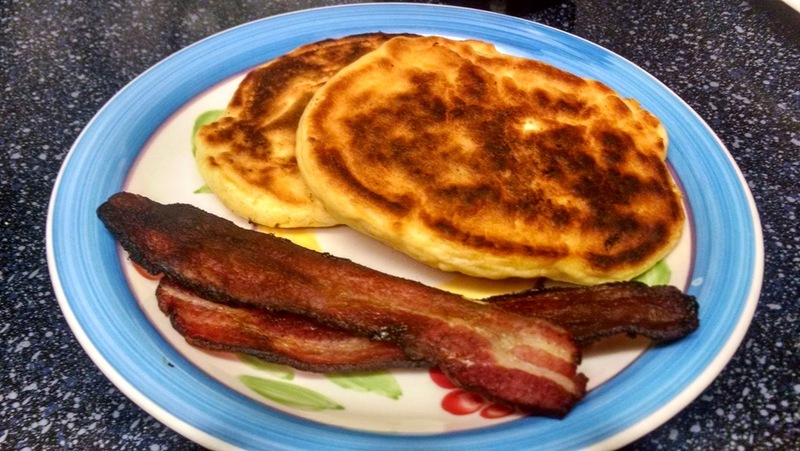 This pancake recipe is one of our favorite breakfast options, it is super simple, customizable, and comes together quickly. I make a few adjustments to this recipe that make it work for us. I also have one little special ingredient that I will talk about later, which is a must in pancakes or french toast. Yes, I will cover that as well. As always, make any changes that work for you. Food should be something that can be approachable no matter what you like or dislike. The recipe has been adapted from the Joy of Cooking. Mix the liquid quickly into the dry ingredients. 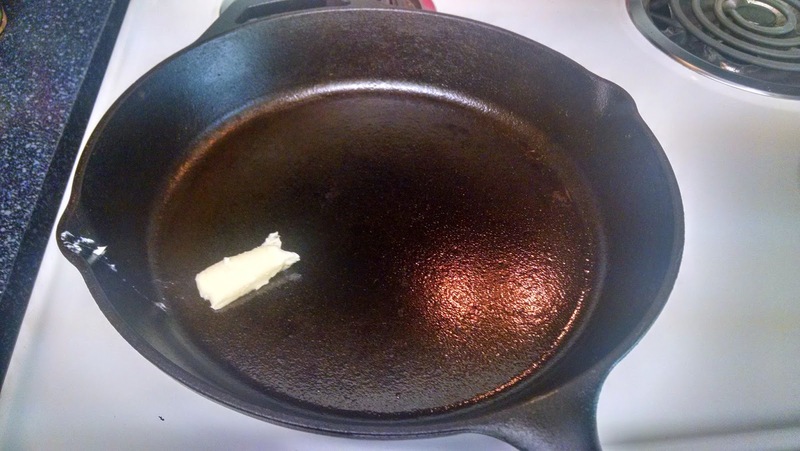 Grease a skillet lightly with butter or oil and do so as needed between batches. The heat is correct when a few drops of cold water on the skillet bounce and sputter, not boiling or evaporating. 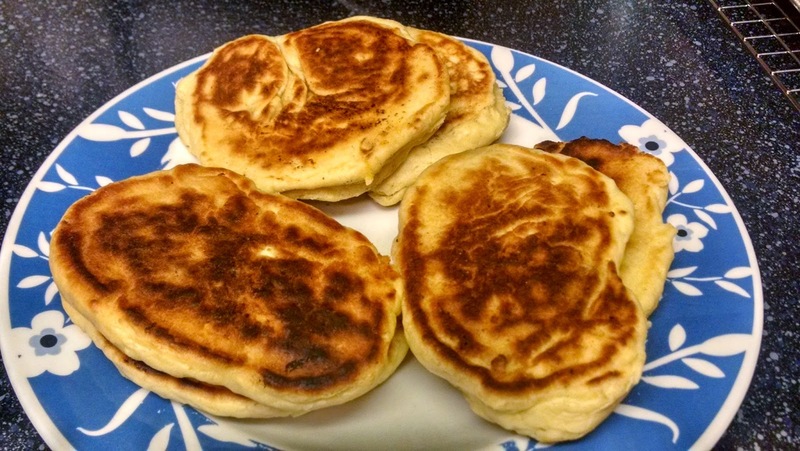 Use 1/4 cup batter for each pancake. 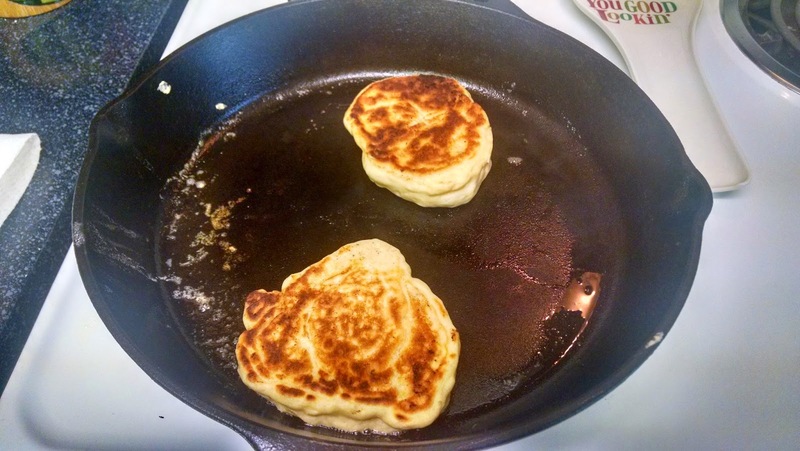 When bubbles appear on the surface on the pancake and the edges have browned, turn the cake and cook only until the second side is done. For me, these pancakes don’t need the suggested 3 tbsp of sugar. Usually once syrup is applied that can address the sweetness/sugar requirements for this recipe. I like vanilla, but I’m more of a savory breakfast guy — so, I don’t think vanilla is needed here. But, if you want it, or that works for your family, then do it. The amount of buttermilk is also adjusted as a result of the effect of being at sea level rather than an a higher elevation. I use 1 cup versus the 1 1/2 cups that is called for. If your batter looks too thick, you can always add a little more milk. Okay, now, make sure no one is looking over your shoulder because I’m about to reveal my secret ingredient…ready? Lemon zest. Yes, lemon zest. First of all, there is nothing more fragrant than freshly grated lemon zest. Think of what happens when you peel an orange and you get an intense flavor that wafts through the air. 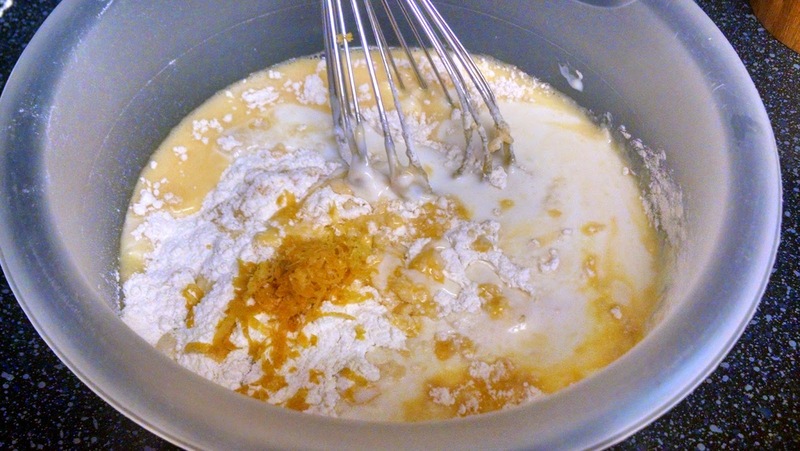 We are applying max flavor to these pancakes, which gives them a really pleasant citrus note. You may want to add this tool to your kitchen collection. I use this tool all the time for grating hard cheese, shaving chocolate, and zesting fruit — it is called a microplane grater and it is awesome. Have you ever seen a cooking show where the host is finishing up a pasta dish and suddenly it starts snowing cheese? Yup, that is the microplane grater. You can find one in practically any store with a kitchen section. If you want more information then I would recommend looking it up on Google. OK, less typing, more cooking. Picture time! Everyone in the pool at the pre-mix party. Stirred, not shaken. 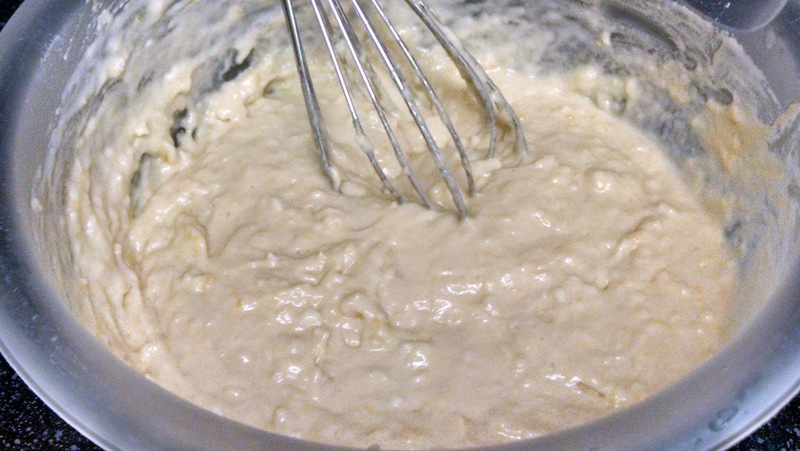 Don’t overwork this batter, just make sure everything is incorporated together. Butter makes pancakes better. If you have a cast iron pan, then use it. If not a heavy bottomed, non-stick pan will do nicely. Here is my breakfast. What are you having? OK, just kidding! Here is the finished product. Of course, bacon is optional, and eggs make a great substitute for bacon, truly the options are endless. Here is another photo finish. 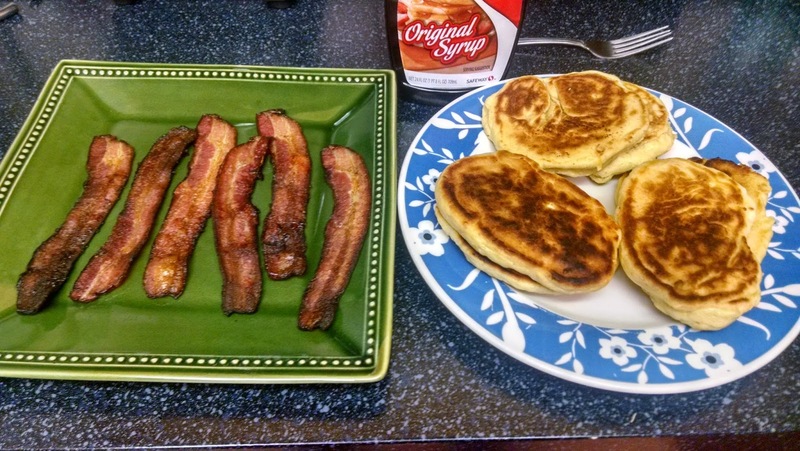 By the way did I mention that left over pancakes make a great toast substitute, sandwich bread, or just a great snack? Maybe a breakfast sandwich? 😉 If you have a few left, I highly recommend it! Use your toaster to warm the pancakes through and re-crisp the edges if they get a little mushy from being in the fridge.